This trip is available upon request. Please call for more info. Do you want to have an adventure in one of the largest, most remote, and least visited national parks in the lower 48? Would you like to ride your bike through the beautiful and rugged Chihuahuan Desert and explore a region with over one million acres of public land? How about paddling for a day in the stunning canyons of the famous Rio Grande? 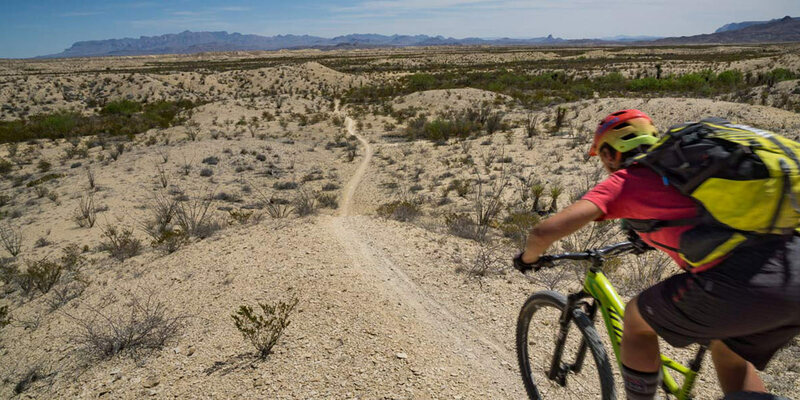 Though off the beaten path, Big Bend was on the map in the 1980’s and 1990’s as a hot spot for mountain bike racing with the Chihuahuan Desert Challenge and the Mas o Menos 100. This is where the pros came to race their bikes and where hundreds now come each February for the Chihuahuan Desert Festival. After riding the trails in Big Bend Ranch State Park, with their unique challenges and spectacular scenery, you’ll see why IMBA designated an Epic route here. Imagine riding all day, then coming back to camp and sipping on a cold one while we treat you to a delicious, hearty meal. Share stories and reflect on your adventure while you relax and enjoy the stars in the desert. Give Western Spirit a call! It’s what we do!